A new Europe-wide project has identified that the density of barriers in rivers is much higher than previously thought, with up to one structure per kilometre blocking the path of migrating fish. Hundreds of thousands of human-made barriers are scattered across the continent’s rivers, such as weirs, dams, culverts, fords and sluice gates – many of which are obsolete today. 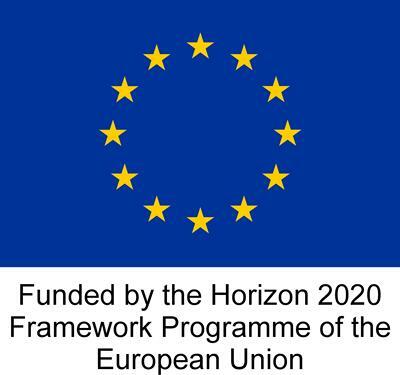 Researchers, including academics from the University of Southampton, have found that the number of barriers recorded in current databases may represent as few as three per cent of the total number existing in Europe. Information about the location and density of smaller barriers is often unknown, despite them presenting a significant problem for the health of streams and rivers. The AMBER (Adaptive Management of Barriers in European Rivers) study, conducted by a consortium of scientists, hydropower and non-profit organisations and led by Swansea University, collected all available data on river barriers within Europe and surveyed a total of 1,000 km of rivers. To help locate more barriers scientists are inviting citizens to get involved by logging information about barriers they find with a newly-developed smartphone app. 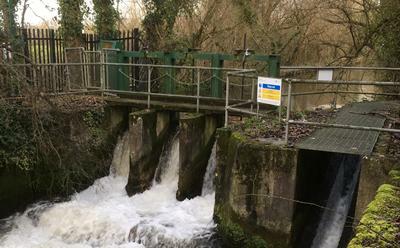 Dr Jim Kerr, from University of Southampton's International Centre for Ecohydraulic Research, explains: “These barriers can potentially provide energy, water, fishing and leisure opportunities, and might even prevent the spread of invasive river species. However, they also present considerable obstacles to sustainable river management. The picture of river fragmentation in Europe is woefully incomplete, but the scientists involved with this project want citizens to join with them and help improve the connectivity of European rivers by using a smartphone app called Barrier Tracker (freely available from Google Play or the Apple App Store). With this app they can document or update the status of the barriers that they come across along their local rivers and upload the information to a website. Recruiting the public to help document small river barriers is a crucial step in maintaining healthy river systems across the continent. In the UK, many dams, weirs and other obstacles have been recorded in institutional databases, but it is likely that thousands are still unrecorded. One of the major reasons for the discrepancy between existing data and the data that AMBER has collected by surveying rivers is that most European databases mainly document barriers that are higher than 10m. In the field, the researchers found that many river barriers are much smaller than this. Smaller barriers still disrupt river connectivity and since they occur at such high density they present a far greater problem. The launch of the Barrier Tracker app takes place on 21st April 2018 – coinciding with World Fish Migration Day, a one day global-local event to create awareness of the importance of open rivers and migratory fish. In the UK, there are many events taking place to celebrate World Fish Migration Day. Fisheries scientists from the University of Southampton will be running a day-long (21 April 2018) interactive stall at Mottisfont House and Gardens National Trust site in Hampshire to promote the day and the launch of the AMBER Citizen Science portal. The stall will have interactive activities including a fish migration themed marble run, engaging activities for children and educational materials. Visitors will be able to visit river barriers at the site and log them on their newly downloaded barrier tracker app and learn some fun facts about fish migration along the way.